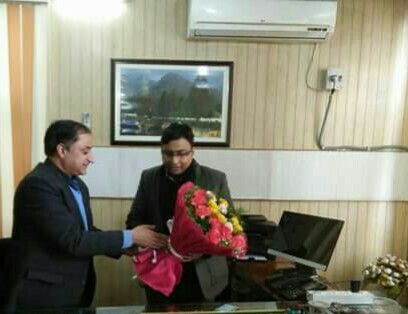 In a significant development related to education world, Rajiv Kumar Ranjan (IAS) assumed office today as Director School Education Kashmir, replacing Aijaz Ahmad Bhat. Mr Rajeev was welcomed by the officers and officials at the Directorate here during an impressive function. Pertinently, they assured the new Director of their full cooperation to take Education Department to new heights. On the occasion, the new Director appreciated the goodwill gesture cooperation from the officers and officials and asserted that he shall also be cooperative with them for transparent and accountable work culture in the Department .